QUESTION : How to forgive people who do wrong with us? 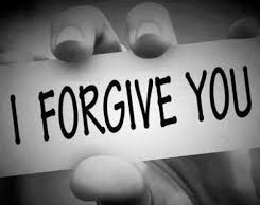 QUESTION: How to forgive and tolerate ourselves for the mistake done in the past? The potential to the greatest emotional damage is people who are the closest. People on the street don’t hurt as someone who is very close to you. Therefore when we talk about people doing something to us, forgiveness is again only possible within the memory of good things that have been done to us and there have been done to us and I am not saying this is generic principle again, in applying this will vary case to case because the hurt that is done is so deep. Sometimes you just can’t find any good. You know, what I mean? These are generic principles. There is a whole day of workshop on forgiveness that I do. That is 8 hours of workshop on forgiveness and then we make people call those people and say sorry or they have to go and forgive someone right in the workshop and people cry. But you know tolerance, forgiveness all of this is possible by god memory only and if we talk about tolerating people, its not all that hard to tolerate when we see that they also tolerate us. Keeping this fact in cognizance and in conscious awareness of our lives make us handle people, because we know that no one is perfect, no one in this world is perfect. Everyone comes with a package deal, there is the good and the bad. We should deal with it. If there is something wrong. We should deal with it, communicate, sort out, whatever we have to do. We should deal with it but focuses on the good and deal with the bad is the way we work on it. And when we follow this principle then I think the second part of your question was about tolerating yourself and forgiving yourself. That’s little hard for a lot of people because you know, this kind of mind keeps hovering over these things, mistakes that we make, but we just to learn and move on. In one of my talks I did that, what I did was I took a pencil, pull a pencil out and I break the pencil right in front of everyone. And that’s what life does to us; relationships are like that some times. Life situations are like that. Failures are like that, they break us, they crack us, sometimes our own mistakes, we just punish ourselves so much and get broken internally and then I pull out a sharpener take the other half and starts sharpen it. Yes we had slips in our minds and in our lives: doesn’t matter. What really matters is we should stand up, gather ourselves up and fight again.